Thanks for linking up:) Wow...40 minutes for lunch!!! That's awesome!!! I feel like I am always slamming lunch down cuz there's not time!!! 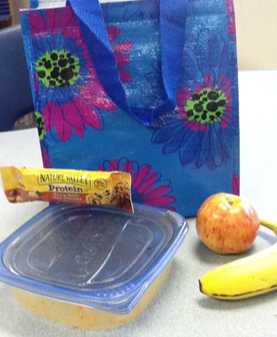 Your lunchbag is adorable! Love the colors!!! Haha I complain about my short lunch alll the time! And my school is kinda in the middle of nowhere - the closest thing is Dunkin Donuts and that is still 15 minutes away and we only have 20 mins for lunch! ...I hit publish before I was done with my comment - oops. Do you like your Mixed Bag? My school is doing that fundraiser right now and I'm wondering how durable they are. That is so funny about the fruit, I am the same way;) What a sweet story about your husband bringing you lunch. I never leave campus for lunch, we don't have anything nearby except a grocery store and a Starbucks about a mile away, but if I forget lunch the school lunch isn't so bad. 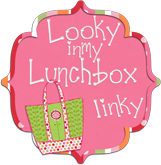 I just found your blog through the Lunchbox Linky! Come check mine out sometime! Hi! I found your blog through TBTS! I am your 101 follower! I am your newest follower & have tagged you! Stop by my blog to see the details. 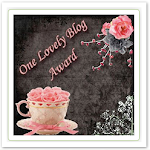 Love your blog and your great ideas. I'm your newest follower! Thank you for posting photos of your projects! I teach kindergarten and would love for you to hop over to my blog if you have a chance. I found your blog on TBTS. Very cute! Unfortunately, I did not choose to have duty-free lunch (I can leave 30 min. early). I also have a mixed-bag. I did a fundraiser last year for my daughter's dance class. BTW I am your newest follower!